Midwest Media Expo, a mid-sized comic con in the Detroit area, has cancelled this year’s event due to issues with the hotel... three days before the whole thing was supposed to start. The expo, also called M2X, was started in 2015 by the same people behind Youmacon, a popular anime and gaming convention also based out of Detroit. Special guests for the latest event included Billy West, Maurice LaMarche, Rob Paulsen, and rapper mc chris. There were also at least 80 artists scheduled to attend the convention, which was predicted to attract about 8,000 attendees this year. In an official statement released early Tuesday, M2X chairman Morgan Kollin announced the convention was cancelled “due to circumstances beyond our control.” Kollin didn’t directly speak to those unforeseen events in his statement, but Corey Russell, who’s worked with M2X and was tasked to speak on the situation, told io9 it’s the result of problems between M2X and the Edward Village-Michigan Hotel in Dearborn (where the event was also held last year). Right now, both sides are claiming the other cancelled the convention. Russell said the hotel’s latest management pulled away from the event, not honoring agreements established with previous ownership (some of them look to have been verbal). But, the hotel insists the fault lies with Kollin. A manager at the hotel, who asked not to be named, told io9 they spent 30 days trying to get in touch with Kollin about the contract, but never got a reply. Then, in the twilight hour, Kollin cancelled. The Edward Village-Michigan Hotel has had its share of problems over the years, including multiple names and ownership turnovers in the past decade (during its latest transition, which happened right around last year’s con, the new ownership reportedly laid off most of the management and sales staff). Attendees say the hotel demanded M2X either pay for the entire reservation up front or terminate the contract. io9 asked the hotel to comment on this accusation, but they refused, adding they’ll issue a press release. There’s also the issue of the reported police call. According to Russell, who spoke with Kollin about the situation, Kollin went to the hotel on Tuesday to try and sort everything out. He waited for the general manager for hours, then started exploring the hotel. That’s when he said the general manager called the police. Russell said the police were told Kollin was a potential suicide risk, even though that wasn’t an issue, and he was ordered out of the hotel. The hotel wouldn’t confirm or deny that the police were called, instead referring us to the Dearborn Police Department, which refused to discuss any cases over the phone. 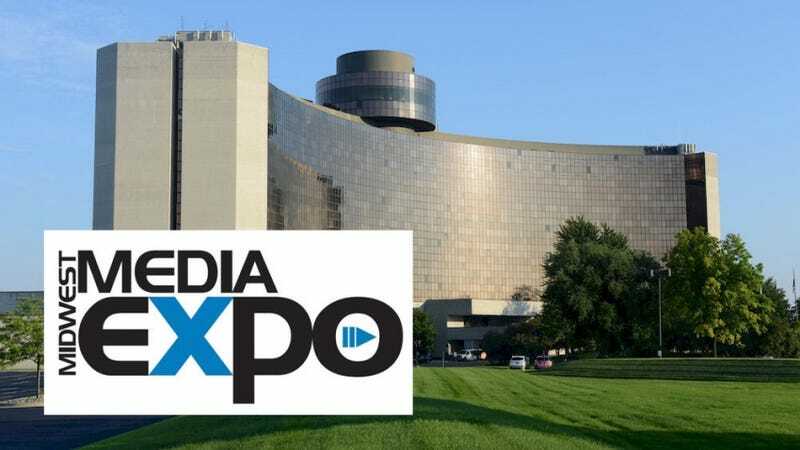 Midwest Media Expo is planning a separate NonCon this weekend at the Radisson Detroit-Farmington Hills, featuring a few of the original guests for the event. Organizers are also working on issuing refunds for M2X attendees, artists, and vendors. Unfortunately, people who purchased airfare or individual hotel rooms will have a hard time getting that money back, and there are likely attendees who still haven’t heard about the unfortunate news. Updated with comments from Midwest Media Expo. Clarification: Russell said he doesn’t know if the hotel demanded all the money up front, as some attendees have suggested. The article has been updated.